I'm having trouble finding other players. I have put up about 20 outposts and have around 300 rangers, i'm not sure if that's sufficient, but i've only found two players so far and that was the first time that i had clicked the 'search for other players' button. After that first time i spent about 80 turns searching for other players but to no avail. Help! Right now the amount of kingdoms in the game is low which should change when it resets next month. With the amount of kingdoms in the game your going to need a bunch more rangers to find much right now. So what changes should i expect when it resets next month? Will it restart my campaign? A reset will delete all kingdoms and you will have to start over and create a new account. I wouldn't expect any changes with this reset. If you are having a problem searching for locations you more than likely have a lack of rangers. Try to build up your economy so that you can hire several hundred rangers at a time before searching for locations. I hired a few thousand rangers and that helped a lot in finding other players , thanks! What day should we expect it to restart? I'd expect the reset within the next couple of days though we will have to wait on PDE to be sure. 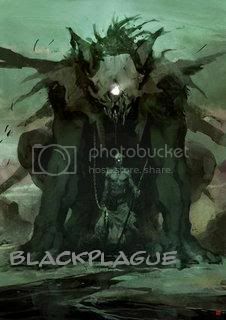 BlackPlague: Yes it does depend on which class you are playing. Anything you search for is based off the strength of your rangers. Woodelves have the best rangers last time I played and receive a 2x bonus when searching for land. Reset is happening within a few days.